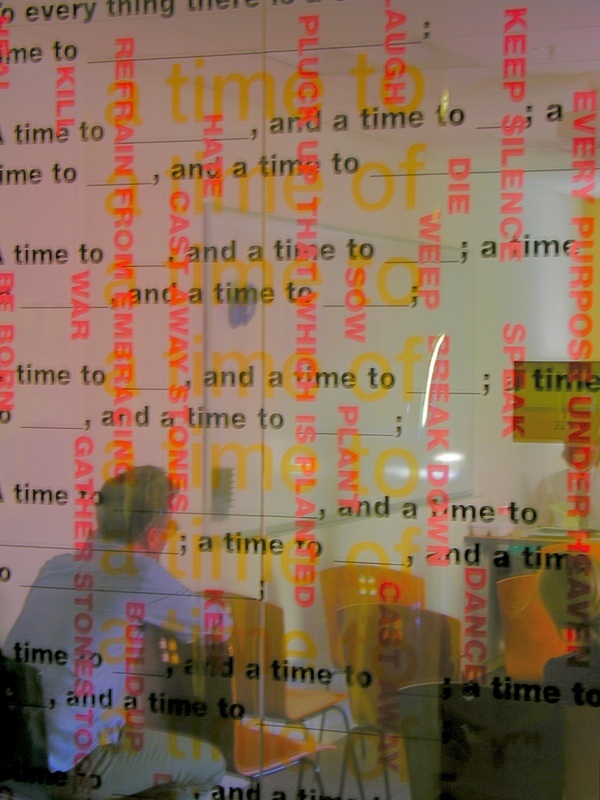 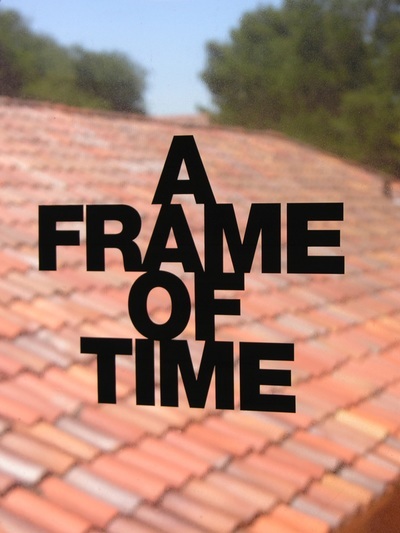 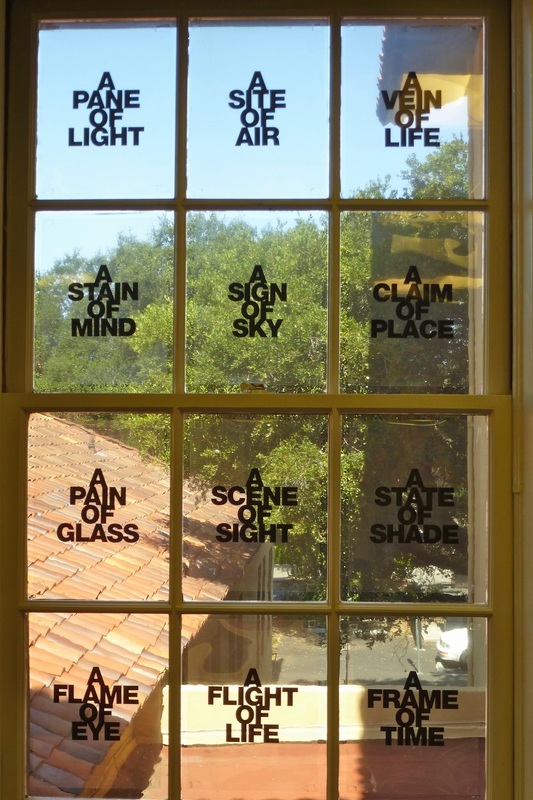 The theme of the conference at Stanford University was “Performance and Temporality.” With these terms in mind, a Writing On Air installation was created for the windows of three unique settings. For an interior window, an Old Testament passage, where time is central to its message, was printed: “To every thing there is a season, and a time to every purpose under the heaven.” The subsequent listing of time’s “purpose” (“to heal,” “to mourn,” “to dance,” “to keep silence”…) was lifted and reprinted vertically, and in bold red, over the altered passage, with the phrases “a time to” and “a time of” alternating from top to bottom. 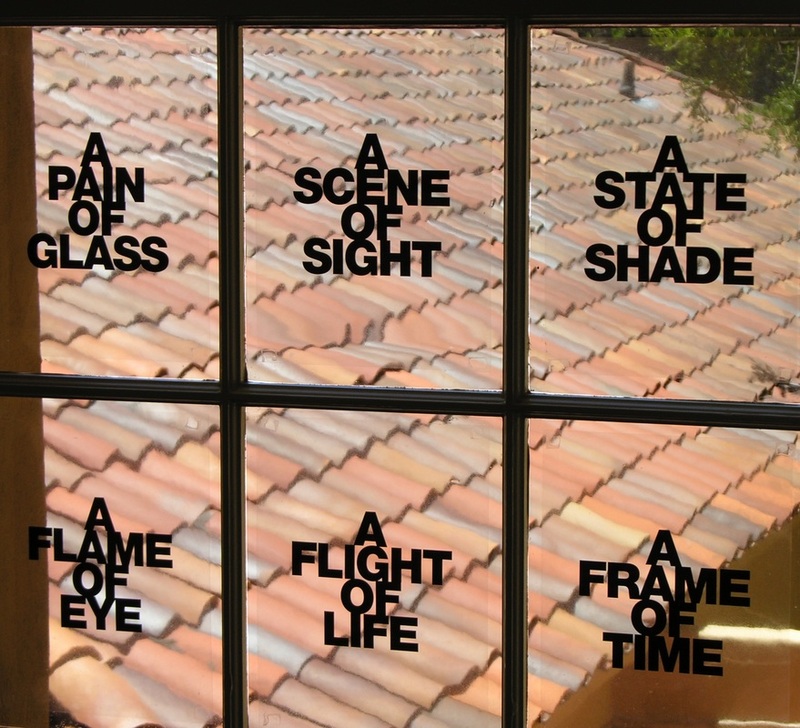 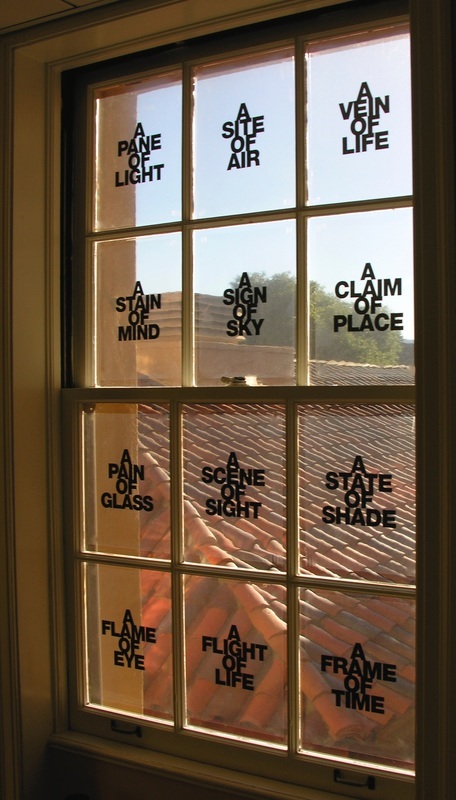 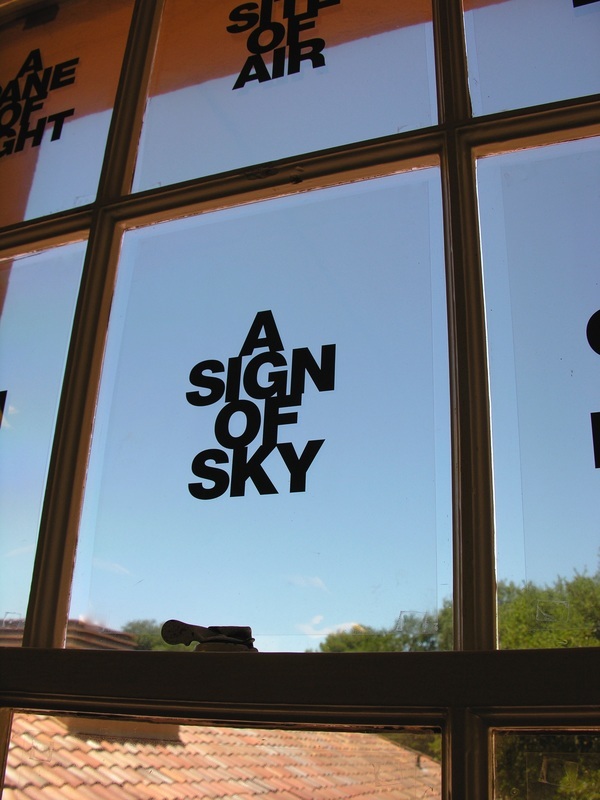 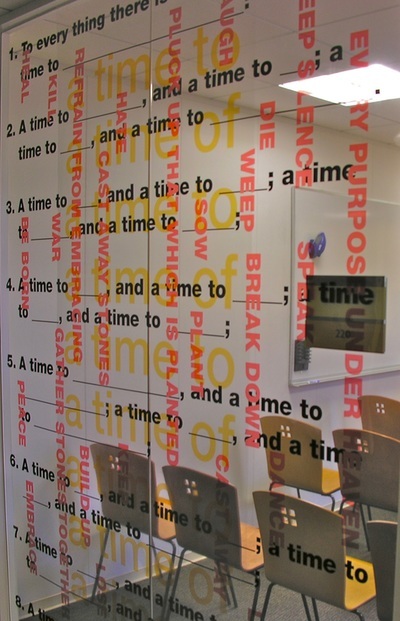 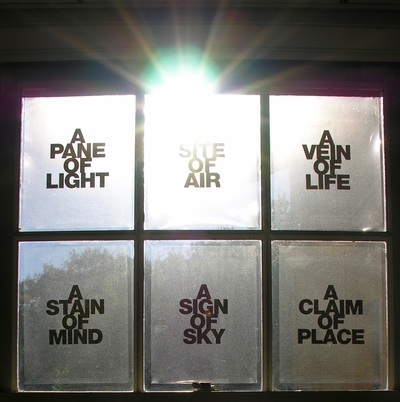 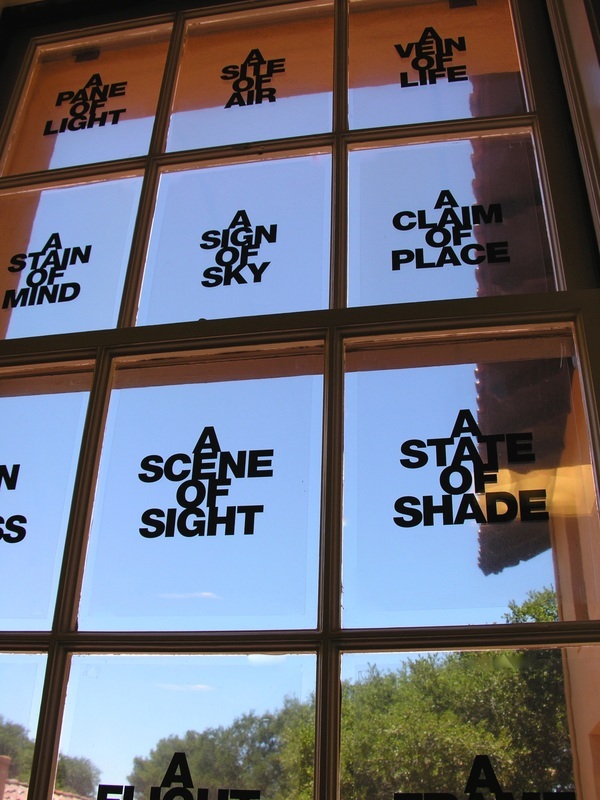 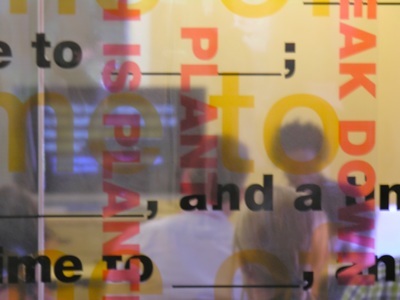 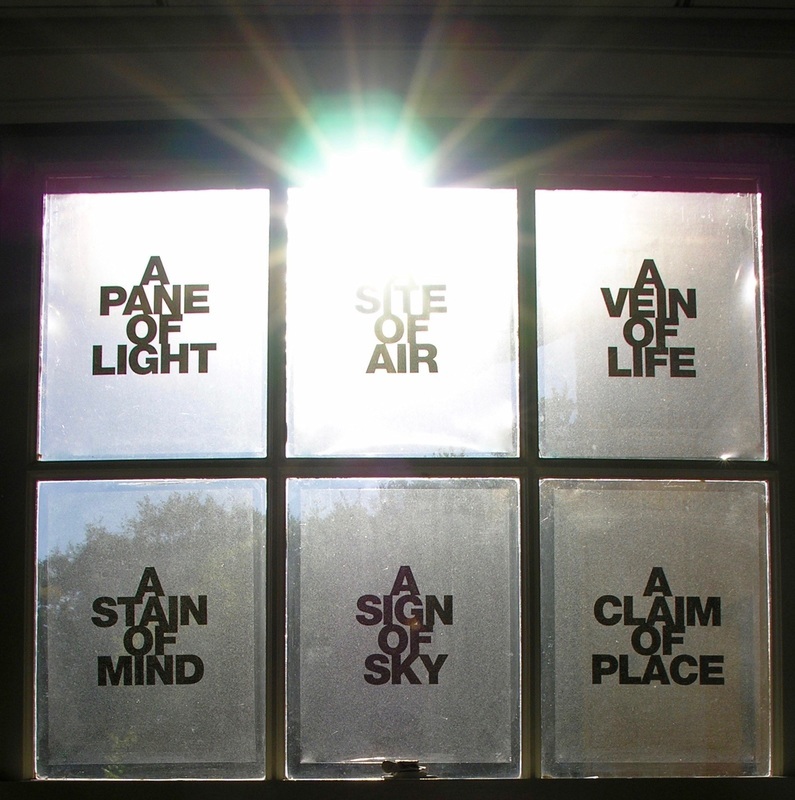 On another window overlooking the campus, a grouping of linked phrases was placed onto individual panes of glass. 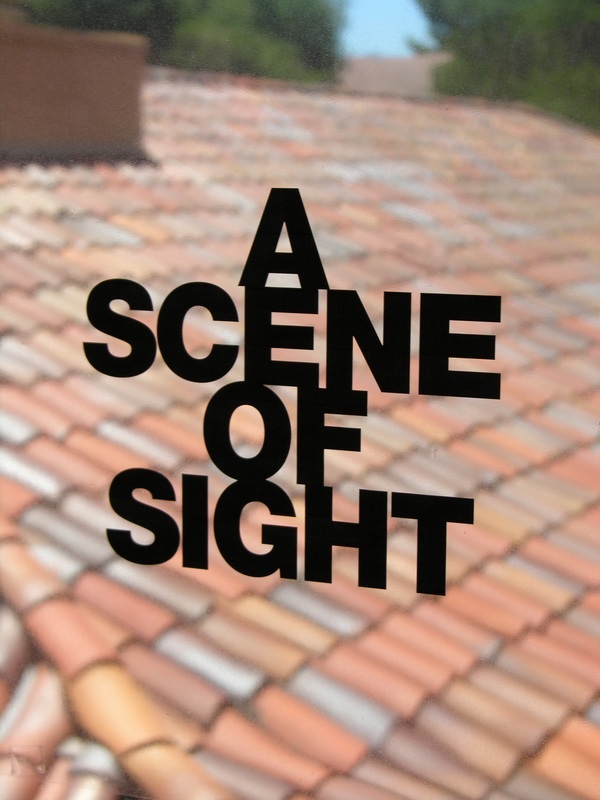 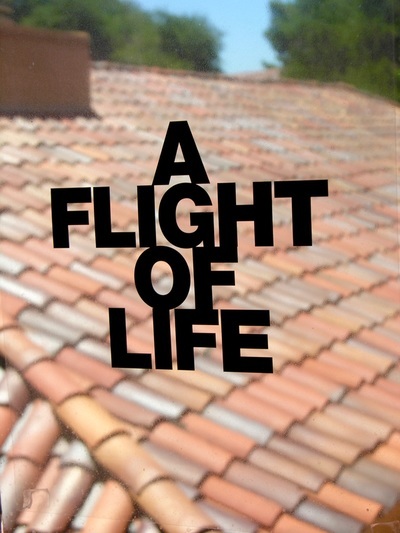 Words were selected for the play of reference enacted by the setting and the scene, the windows and the words: A SCENE OF SIGHT, A SITE OF AIR, A PANE OF LIGHT, A PAIN OF GLASS, A FRAME OF TIME, A SIGN OF SKY . . . . 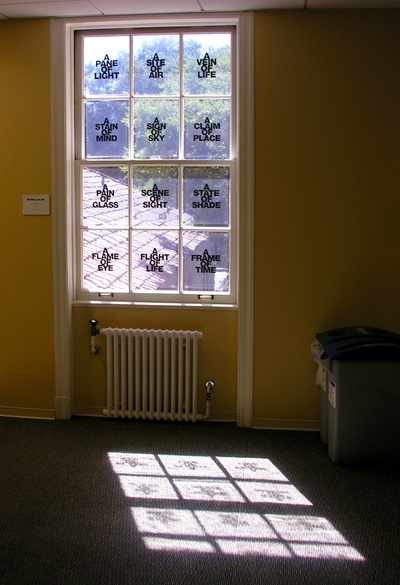 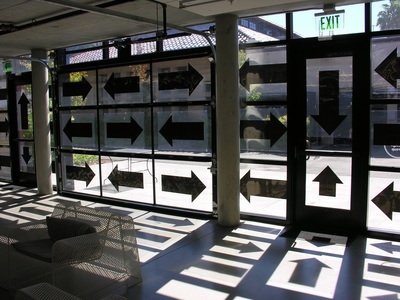 In an adjacent building, large black arrows were placed in all of the windows, pointing in conflicting directions and offering mixed signals out of the building and onto the sidewalk beyond (signals that, with the cast shadows, multiplied the already-confused message). 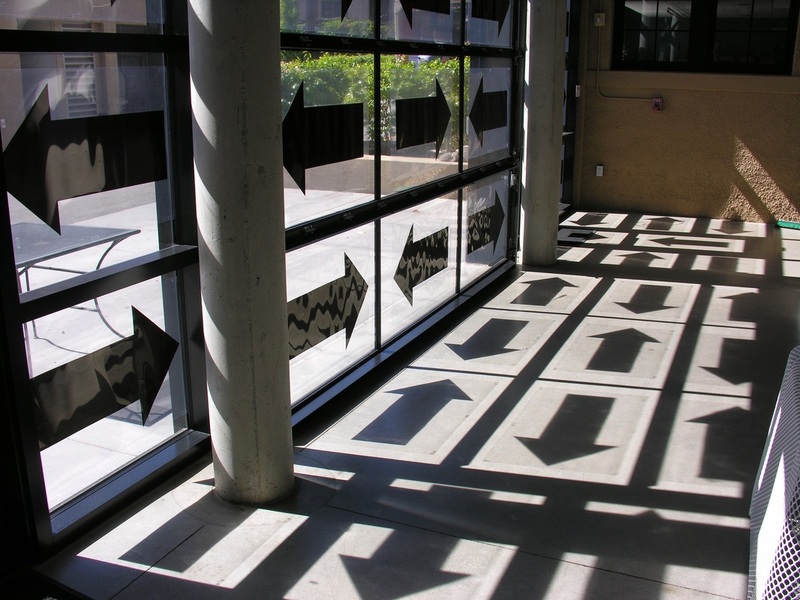 Many, many thanks to UNF’s Center for Instruction and Research Technology and especially Michael Boyles for his invaluable assistance with this installation.